Metabo HPT is now the 4th brand to offer an SDS MAX 1-9/16” rotary hammer drill alongside Milwaukee, DeWalt and Makita with the Metabo HPT DH36DMAQ2 36v brushless 1-9/16” SDS MAX Rotary Hammer. 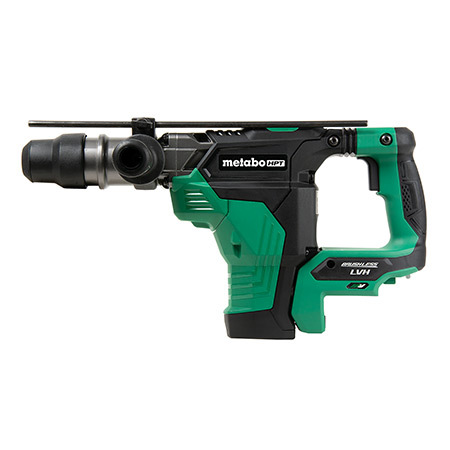 Metabo HPT (formerly Hitachi) has been pumping out plenty of MultiVolt tools to go along with their newly released MultiVolt batteries. 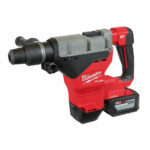 One benefit this unit has over all the other cordless options is just the opposite of cordless. 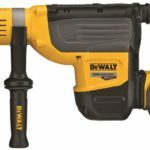 This unit is currently the only cordless SDS MAX rotary hammer that is compatible with a corded adapter, which gives users more flexibility if they need unlimited runtime, or the portability of a battery. Cordless adapter sold separately. My thoughts: SDS MAX is impressive for any battery platform and this unit looks to be a good competitor with excellent specs and features. 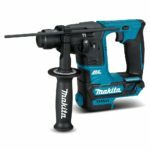 This is Metabo HPT’s first cordless SDS MAx rotary hammer, and it doesn’t look like they left out anything. 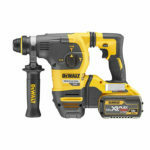 With several features such as a brushless motor that pumps out 7.7 ft lbs of impact force, 4 speed settings, hammer and hammer drill modes, this unit has an excellent feature set for anyone who needs a corded/cordless option for drilling into concrete. Is this unit Brushless or Brushed motor?